Kimberly Last's Remington Steele Page. Established January 1995 her page was the first Steele page on the web. Melissa Jones' Remington Steele Gallery. Pictures, sounds, fan fiction, wallpaper, trivia challenge and links. Steele In Love with - Remington Steele by Nancy Eddy. She has a plenty of fan fiction and more on her page. Angela Nothdorf's Remington Steele Page. Everybody Loves Remington by Kelly. Pictures, Sounds, Movies, etc. María Fernanda Terán presents Remington Steele. Steele, Inc.-Atlanta Division by Debra Talley. Filks, Fan Fiction and more. Jenny Shield's Remington Steele Page. She has an episode guide, sound bytes and pages on the main actors. 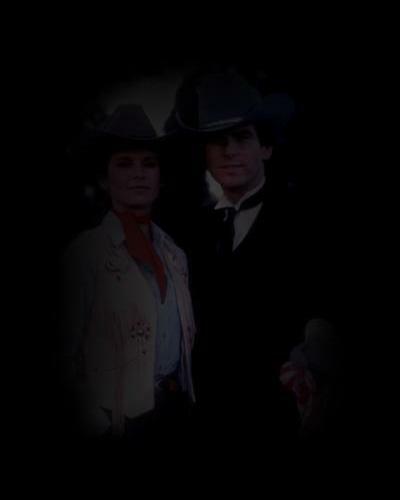 MysteryNet: Remington Steele Profile and the Remington Steele Discussion Group. Remington Steele Page by Franziska Wenzel. Most on this page is from Kim Last's RS Page, but you can also find some additional information. On Panpim Vonkhorporn's Favorite TV Shows And Movies you can find pages on Remington Steele, Stephanie Zimbalist and Pierce Brosnan. A Remington Steele/Real Ghostbusters/Gargoyle crossover. If you have written your own Remington Steele fan fiction and want to see it here, just email me. Literary Steele. Melissa Jones has put some of her fan fiction on her RS page. The Remington Steele Fan Fiction Archive, maintained by Angie Nothdorf. Lots of great stories. The Casebook of Mr. and Mrs. Remington Steele. A wealth of Remington Steele fan fiction by Nancy Eddy. Steele Ties Don't Break by Kelly Rourke. Chronicles. Fan Fiction by Lisa R.
Steele Christmas Without You... by Pat Nusman. Blue Fenix Fan Fiction has two Remington Steele stories on it's page: Will You Steele Need Me? and One Steele and Snowy Night by Louann Qualls and Sylvia Colston. Steele in a Family Way and Memories Steele Preserved in Pictures by Beckie Schie. Steele Dreaming by Tanya Reed. Cold Steele by Lexington Wyvern. A Remington Steele/Gargoyle Crossover. Wednesday Night Poker by Taiyin. Quenched Steele: A Retrospective. Another fanfic story by David E. Woon. Steeling Into the Knight by "iocaste". A Forever Knight/Remington Steele crossover. Remington Steele Fan Fiction by Laura Wood. Steele Writing Fiction. Remington Steele Fan Fiction by Lisa Watson. = New addition to list, not necessarily a new page. A tribute to Magnum, p.i. The Quincy Examiner - Celebrating 20 years of Quincy, M.E. The Scarecrow and Mrs. King Zone! Disclaimer: Remington Steele is the product and property of MTM Productions. This site is an independent, unofficial fan effort and is not affiliated to MTM in any way. the world and no copyright infringement is intended.